You are here: Home / Turntable Reviews / Where Can I Buy Record Players? So you’ve made your decision – you’re going to buy a record player! Whether you’re brand-new to the world of vinyl or a veteran LP record collector who simply hasn’t played his or her collection since the old turntable went south, you’re fortunate to be making this decision now. It’s unquestionably a buyer’s market out there, with a significant number of quality manufacturers vying for your business at a variety of price points and features. 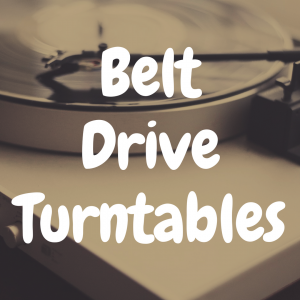 We’re going to help you with your purchase by listing some things to look out for and recommending places where you can find a great turntable at really good value. You don’t need to spend an arm and a leg. While the turntable market allows the very rich to drop $100,000 on a machine, very capable entry-level tables can be had for a bare fraction of that ($100 for the spiffy little Audio-Technica AT-LP60, for example). But you do want to spend enough. If you’re better-heeled and more serious, getting into the $300-$400 range opens up a wide range of excellent units. More money spent usually (but not always) means that your records will sound fuller and more detailed; the music will, in a sense, have more drama. Figure out what you want to do. They all spin records, but different models add different functions. If your goal is to convert your vinyl collection to digital, you’ll need to look for a table that has a USB connection for mating with a computer. 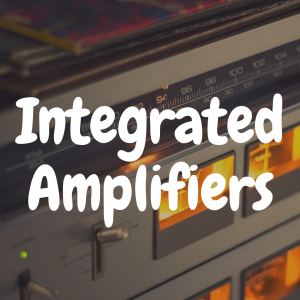 If your receiver doesn’t have a phono preamp (or if you have no receiver at all), you’ll need a turntable with a built-in preamp. Do you care how it looks? Hopefully, you’ll be living with your new machine for many years. How does it fit in with your décor? Many manufacturers are designing turntables with lovely, woodgrain looks, for instance. Also, will your new turntable fit on an existing equipment shelf? Are you a tinkerer? A growing number of turntables are essentially ready to use right out of the box. But more sophisticated models require careful assembly and even more careful adjustments of the tonearm (balance, antiskating, stylus pressure). Manual or automatic? This is a very fundamental question. Do you want to actually lower the stylus onto the record and then lift it at the end and shut off the machine? Or do you want the turntable to perform these operations for you? Manual tables are in the majority, but there are fully automatic ones as well. With those thoughts in mind, let the shopping begin. The stores and sites we’ve gathered for you below offer every conceivable option at many price points. You’ll find belt and direct-drive tables, DJ models, and machines that will play your old 78s (although most are just two-speed tables). Note that beyond this list, some turntable makers allow for orders directly from their websites, although you might end up paying closer to list price if you go that route. And a final caveat: This is only a very partial list. For heaven’s sake, you can pick up a cheap turntable at Bed Bath & Beyond. That’s how far vinyl mania has spread! Contrary to the beliefs of some, it is possible to buy a decent, entry-level turntable at some well-known “big box” stores. Best Buy and its Magnolia niche carry (or can order) everything from Crosleys-in-a-suitcase to the Audio-Technica line to even a couple of Denons and an Onkyo. While BB (and any similar retailer) is usually a lousy place to audition audio equipment, at least you have a shot at actually looking at the thing – touching it, even. Best Buy offers a minimum 15-day return policy (even longer if you’ve reached a certain customer status) and has a nice rewards program too. Some people still like to carry a box out of a brick-and-mortar establishment. Amazon is the 500-pound gorilla of Internet retailing, where you can order (and we kid you not) essentially any consumer product made on planet Earth. 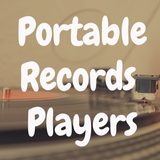 And the online monster offers a plethora of turntables for all tastes and pocketbooks. Don’t believe it? Turntables were the No. 1 best-selling item for Christmas 2015. (The leader of the pack was a sad-sack Jensen all-in-one unit, but a record player nonetheless.) The company is justifiably famous for customer satisfaction and has a 30-day return policy, but affiliates’ policies may vary. Amazon and its partners deal in Pro-Ject, Music Hall, Thorens, Rega, and many more. And there are turntable accessories galore. Bill Crutchfield (who’s still the boss) founded the company in a garage in 1974 as a mail-order car-stereo business. The Charlottesville, Va., outfit has blossomed into one of the most popular online retailers of all things audio and video – turntables, receivers, CD and Blu-ray players, speakers, big-screen TV, and more. On the turntable front, Crutchfield carries the essential brands, including Music Hall, Onkyo, Pro-Ject, NAD, Denon, and Marantz, including the upper-end entries of the manufacturers – at competitive prices. Crutchfield is legendary for the quality of its customer service, including people answering the phone or manning the chat box who actually know what they’re talking about. With some exclusions, Crutchfield offers a 60-day return policy. Jerry Raskin’s business, launched in 1979, does have a sticks-and-bricks location in St. Louis Park, Minn. But unless you’re in the neighborhood, his website is the place to go for a tempting array of turntables and accessories (along with speakers, amps and other high-quality audio components). 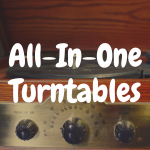 Turntables are conveniently categorized by type: budget, automatic, USB, DJ, and so on). 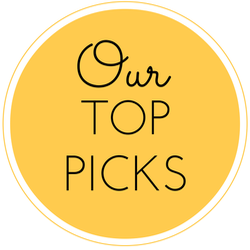 The most popular and price-conscious brands are all here (the Pro-Jects, Audio-Technicas, Music Halls, Denons), and so are more esoteric and higher-end tables by the likes of EAR, J.A. Michell, SOTA, and more. In short, regardless of your preferences and budget, if you can’t find a suitable turntable at Needle Doctor, then you’d better give up. The prices are quite competitive and the customer service renowned. Ground shipping is free for orders over $99, and there’s a 30-day return policy. Founded by Wayne Schuurman in 1981, Audio Advisor has become a truly one-stop supermarket for audiophiles. All kinds of gear can be had here, including a liberal selection of audio cables and furniture. Turntable-wise, all the popular brands are on display, including a selection of the much-respected Regas from Great Britain. Audio Advisor also stocks harder-to-find tables from Clearaudio and VPI. There are also plenty of cartridges, replacement styli, stylus-pressure scales and gauges, record cleaners, and more. It’s a terrific place, for instance, to get a replacement belt. The personnel are extremely knowledgeable. Go ahead and ogle a $12,000 Pro-Ject Signature 12 turntable while you’re on the site. Ground shipping is free for orders over $25, and items may be returned within 30 days. Chicago-based Music Direct has been plying its trade since 1989 and has garnered a reputation for high-quality inventory and service. Its turntables are listed under an “analog” heading, which clearly shows where the company’s heart lies – it has been, and still is, a huge cheerleader for the joys of analog sound reproduction. 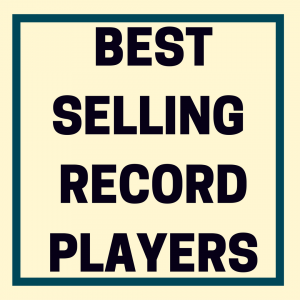 The website has a tempting array of brands and price ranges to choose from, including stalwarts like Rega, Pro-Ject, Clearaudo, VPI, Denon, and even a difficult-to-find name like Luxman. Prices are in line, and it’s also a great place for myriad accessories as well as audiophile-quality LPs. Shipping is free for orders over $49, and Music Direct offers a 60-day money-back guarantee on most items. Make sure to check the clearance and closeout sections. The website of New York-based Turntable Lab (there’s a store there) is somewhat aimed at a young and hip crowd, and the company makes no bones about the fact that it caters to DJ-style turntable buyers. But there’s much more to be found on the site. Particularly attractive are nicely priced bundles featuring turntables, preamps, speakers and more. 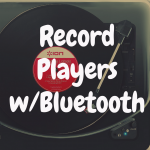 Elsewhere, the section called “Turntables for Listening” boasts a tempting array of entries from Audio-Technica, Denon, Music Hall, Onkyo, Pioneer, Pro-Ject, U-Turn, Technics, and others. There are even some kiddie turntables, a few cool-looking Crosleys, and some customized tables. The site also features a wide variety of accessories. Turntable Lab has a 14-day return policy. 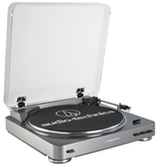 Our list doesn’t contain the only reputable retailers of quality turntables. Far from it. But it should certainly provide a good starting point for music lovers who are beginning their analog/vinyl odyssey. The vinyl “renaissance” has utterly rejuvenated what had been a decidedly moribund industry. Now, the major manufacturers are selling turntables as fast as they can make them, and they’re doing all they can to get your dollar. This kind of competition, of course, is of enormous benefit to the consumer. So figure out what you’re after, and then enjoy yourself while shopping around. And, while you’re at it, and take heart in the fact that with so many quality tables and makers out there, it’s virtually impossible for you to make a bad choice. Have a great time listening to your albums! 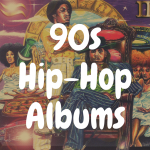 Where Can I Find Cheap Vinyl Records?